Home / Weekly Ads Supermarkets / Grant’s weekly ads / grant’s 3 day sale to January 25 2019 – Build A Wall Of Savings! Every week you can get a lot of promotions like this new grant’s 3 day sale to January 25 2019 – Build A Wall Of Savings! 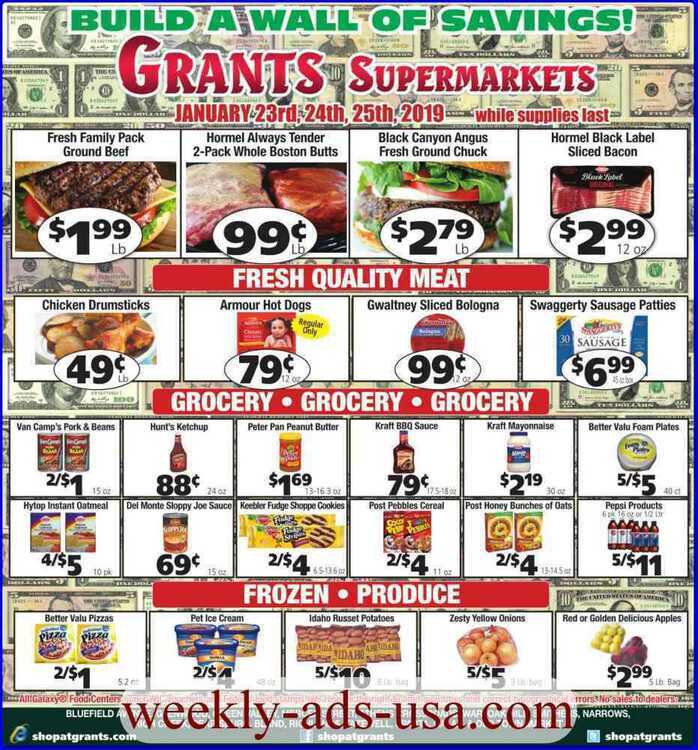 that available in all Grant’s Stores , just follow our weekly ads site to get all new Grant’s weekly ads in the USA , this ads valid in 1/23 1/24 1/25 2019 .